Our service domain is management, that is, to control the effective use of management resources in order to achieve business goals. Information Technology (IT) is indispensable for today’s management. Under the motto, “Managing Business and IT”, we have been striving to deliver valuable business solutions to our clients. We not only deliver system solutions, but we also continue to offer system support services for our clients, because we hope to see their business keep going successful. 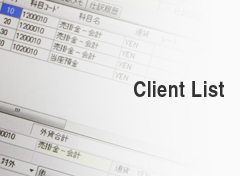 We wish every client company to succeed by managing their business in an appropriate manner. Our aim is to create a social value in this society. It is true that there is no system solution fit for all the midsize companies of more than a certain size. Perhaps a certain level of accounting system can satisfy the needs of such companies. However, if you require some particular functions such as foreign currency transactions or multiple company management, you may find most of such accounting systems insufficient. Even more, there is no easy way to find a business management system such as sales, inventory, and purchase management, which meets the requirements of midsize companies. The only way to find it is to compare a number of software companies one by one to see if any of them have a solution which satisfies your current, and future needs. Since its foundation for nearly 20 years, we have been providing various services including development of custom-made systems for business computers, small-sized package systems for personal computers, system consulting, custom-made systems for personal computers, and package systems for mid-size companies. At the same time, information technology has changed dramatically with the emergence of Windows and the Internet. Through the work and research we have done since 1998 for more than 5 years, we have come to the conclusion that the best solution we can provide is a package system created by ourselves using Oracle database which can be run in a small scale to a large scale system environment; A scalable business system solution using “”Plaza-i””, that is designed and developed by us, available for companies of wide range of sizes from small-sized companies to mid-size enterprises. Disadvantage of choosing custom-made system is that you will never know the overall image until its development completes, therefore, it might fail to satisfy all of your needs, and yet you need to spend considerable amount of money and time to create it. Moreover, there is a possibility that it will not be compliant with the future changes such as upgraded operation system or law changes in a timely manner. Small package systems are very handy, but not really sufficient to manage business, the core and proprietary competencies of mid-size companies. On the other hand, the cost to implement a large scale package system is nearly the same as implementing a custom-made system and it is difficult to make full use of it with the limited number of human resources. What differentiate us from other software companies are that, first of all, we fully understand the needs of foreign-affiliated and multi-national companies. Secondly, we have a profound knowledge in accounting, which is the final output you require from the system. And thirdly we are thoroughly familiar with the control points of business management system that meets the needs from the accounting point of view. And we had these questions; Can we reflect such our features and know-how in one package system? Can we develop an interface system which focuses on some specific business categories and yet which is generally usable? Would it be possible to create a system that can support business of mid-size Japanese companies with existing package functions and custom-made functions which can be added in the package later on and yet has bilingual and multi-currency functions. That is how we created “Plaza-i” and it realizes everything we wished for. The first user started using “Plaza-i” in 1999. 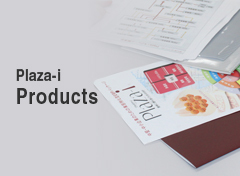 Since then, we have enhanced and optimized “Plaza-i” to fit for organizations of a various business categories. In 2004, we released its new version which includes functions of our smaller package system “Plaza” designed for foreign affiliated companies. In response to system technology change, in 2008 we released Plaza-i Version 2 that works with .NET Framework. Since 2010, in addition to new modules of BAS, SFM, MNT, etc., Plaza-i has equipped functions to play a role as a business platform, not only as an accounting/business operation system. Thus, Plaza-i has evolved which continues to this day. What we would like to do is to provide valuable business system solutions using “Plaza-i” to many companies that we think “Plaza-i” fits best. We desire to see them continuously use Plaza-i not only for 5 years but for 10 or 20 years and achieve sustained growth in their core businesses. And that is the value that Business Associates can offer in this society. 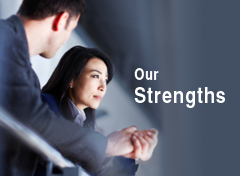 Business Associates is a unique system solution provider founded by certified public accountants. And we own “Plaza-i” that fits best for foreign-affiliated companies, companies expanding their business overseas, mid-size Japanese companies of specific business categories, publicly-traded companies and companies going public. And we have staff who have worked here since they were new graduates and now have become professional. Some develop products, some provide the products to our clients or support them. We all play active role. That is Business Associates K.K.